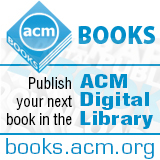 Welcome to the March 9, 2015 edition of ACM TechNews, providing timely information for IT professionals three times a week. President Barack Obama is embarking on a 20-city drive to intensify job-specific training in the high-tech sector. The tour is designed to be one of the biggest federal-city efforts boosting non-college skills training in history. The 20 cities, which include New York, San Francisco, Louisville, St. Louis, and Detroit, will work with emerging training companies and academies to train and place graduates. The administration aims to place 50,000 graduates into high-paying jobs, harnessing the potential of skills-specific job academies that train students for high-tech positions in as little as three months. The academies generally require students to attend all-day classes five days a week to immerse themselves in a specific set of skills. The White House already has received commitments from several academies to train students in cooperation with the cities in which they operate and submit to regular outside audits to verify job placement success. The administration maintains that up to 500,000 job openings are available in the fields of software development, cybersecurity, and network administration, all of which come with salaries up to 50-percent higher than average full-time work. "Helping more Americans train and connect to these jobs is a key element of the president's middle-class economic agenda," says deputy White House press secretary Jen Friedman. Massachusetts Institute of Technology (MIT) researchers have demonstrated entanglement can improve the performance of optical sensors, even when it does not survive light's interaction with the environment, a development that furthers the progress toward quantum information processing. As part of the MIT researchers' system, two beams of light are entangled, and one of them is stored locally in an optical fiber, while the other is projected into the environment. When light from the projected beam is reflected back, it carries information about the object it has encountered. However, this light also is corrupted by environmental influences, generally referred to as "noise." The researchers can suppress the noise and recover the information by recombining the projected beam with the locally stored beam. The local beam helps with noise suppression because its phase is correlated with that of the projected beam. Entangled beams start out with stronger correlations than classical beams, so even when noise causes entangled beams to fall back within classical limits, they still perform better than classical beams do under similar circumstances. In tests comparing optical systems that used entangled light and classical light, the researchers found the entangled-light systems increased the signal-to-noise ratio, which is a measure of how much information can be recaptured from the reflected beam, by 20 percent. ACM's Special Interest Group on Computer Science Education (SIGCSE) 2015 conference for computer science educators was held March 4-7 in Kansas City, MO. The SIGCSE Technical Symposium provided an opportunity to address issues with computer programs, curricula, and courses at all levels of instruction. Last year, Khan Academy's Pamela Fox was part of a panel titled "Disruptive Innovation in CS Education." In an interview, Fox shared her thoughts on how open source fits into education and the future of computer education. Fox said people have to do a better job of teaching open source and sharing, and counter the idea that using someone else's work is cheating, which children may be encountering in school. She also said coding academies can help improve computer education and should be at the SIGCSE event. "Right now, we have to say 'this is for women/girls,' but the lines are getting increasingly blurred and maybe we won't have to worry someday, but for now, we have to bring stuff up to parity, good stuff," Fox says. She also is interested in teaching the next generation of programmers how to deal with privacy and security issues. "I want to find a way to introduce the next generation to these issues and be relevant," Fox says. The Task Force on American Innovation and the Computing Research Association on March 2 held a Capitol Hill reception showcasing precision agriculture technologies. The event included farmers, leading agriculture technologies, and scientists and exhibited three essential technologies that originated from federally funded science: guidance systems and global-positioning systems, data and mapping with geographic-information systems (GIS), and sensors and robotics. University of Minnesota professor Shashi Shekhar, a member of the Computing Community Consortium, says GIS in particular has been a boon to modern agriculture. GIS-based soil maps enable farmers to visualize the soil properties and fertilizer needs of large farms, allowing them to apply the right amount of fertilizer in the right places. The soil maps help farmers reduce waste and cut down on runoff. Del Unger, a farmer from Indiana, says precision agriculture technologies have helped to dramatically increase yields and farm profitability. The U.S. National Science Foundation (NSF) has taken a particular interest in precision agriculture, issuing a Dear Colleague Letter seeking to accelerate basic research into a variety of systems, including precision agriculture that can promote sustainability in food and energy systems. NSF is seeking innovative proposals for supplements to its existing research activities and workshops. Rutgers University professor Vivek Singh has analyzed anonymous credit card data from millions of people and found that information taken from just four transactions can uniquely identify a person about 90 percent of the time. Although removing obvious identifiers such as names, account numbers, or addresses from credit card data is required by the U.S. Privacy Act and the European Union Data Privacy Directive, the research shows it is possible to re-identify users even after removing such information. "This finding has large implications for what we trust are private sources of information about us," Singh says. The research shows people's movements and behavior patterns uniquely identify them, and human behavior becomes unique very quickly. Singh says the research demonstrates that if "someone were to acquire simple information, such as the date, location, time, and the dollar amount of just four credit card transactions, they could re-identify 90-percent of users in sets of data that do not include any names, account numbers, home addresses, phone numbers, or other obvious identifiers." The researchers say data scientists need to redesign the way data sets can be made anonymous to allow for analysis and scientific research while still maintaining the privacy of individuals. New research from the University of Waterloo suggests a link between heavy smartphone use and lower intelligence. The study suggests smartphone users who are intuitive thinkers, or who depend on gut feelings when making decisions, frequently use their device's search engine rather than their own brainpower. "They may look up information that they actually know or could easily learn, but are unwilling to make the effort to actually think about it," says University of Waterloo researcher Gordon Pennycook. In contrast, analytical thinkers second-guess themselves and solve problems in a more logical way. Highly intelligent people are more analytical and less intuitive when solving problems. In three studies involving 660 participants, the researchers examined various measures, such as cognitive styles ranging from intuitive to analytical, in addition to verbal and numeracy skills. They also examined participants' smartphone habits, and found individuals who demonstrated stronger cognitive skills and a greater willingness to think in an analytical way spent less time using their smartphones' search engine function. The researchers suggest when people avoid using their minds for problem-solving, it may have adverse consequences for aging. Purdue University researchers have created NEMO5, a set of software tools that can be used by developers to predict the future behavior of nanoscale transistors. NEMO5 simulates the multiscale, multiphysics phenomena that occur when an electric charge passes through a few-atoms-wide transistor. The software helps researchers design future generations of nanoelectronic devices, including transistors and quantum dots, and predicts device performances and phenomena that otherwise could not be explored. "What we're building is an engineering tool that will be used in the understanding and design of devices that are at the end of Moore's Law," says Purdue professor Gerhard Klimeck. The researchers are using the Blue Waters supercomputer to study the limits of current semiconductor technologies and the possibilities of future ones. The researchers also examined whether the ever-smaller devices that are projected to be available in the next 15 years are physically feasible, and investigated what impact quantum effects might have on performance as devices continue to shrink. The researchers found deviations in the characteristics of devices as they are scaled down, raising questions about future device designs. The researchers also used the Blue Waters supercomputer to study alternative materials, such as indium arsenide and indium antimonide, that could replace silicon in future devices. Yale University researchers have developed a radio-frequency processing device that enables information to be controlled more effectively, a breakthrough they say could lead to a new generation of signal processing on microchips. The system combines photons and phonons, which are electromagnetic energy and sound energy, to conduct sophisticated signal processing tasks by harnessing the properties of lower-velocity acoustic waves. "We've made something that is smaller as well as lighter, and can go on the same microchip with a processor," says Yale professor Peter Rakich. He says the system can store, filter, and manipulate information with far greater efficiency. The device also is small enough to be placed on a silicon chip, which gives it the potential to be less expensive than other systems. In addition, Rakich says the device could be adapted to a variety of complex, signal-processing designs. "Our work here is a combination of physics and engineering," says Yale researcher Heedeuk Shin. "We demonstrate a powerful new signal-processing operation that isn't possible with photons alone." Researchers at Pompeu Fabra University's Synthetic Perceptive, Emotive, and Cognitive Systems (SPECS) lab have developed BrainX3, a platform for visualizing, simulating, analyzing, and interacting with massive amounts of data. BrainX3 combines computational power with human intuition in representing and interacting with large complex networks. The platform serves as a hypothesis generator of big data. The team has used BrainX3 to reconstruct a large-scale simulation of human brain activity in a three-dimensional virtual reality environment, including the neuronal activity of the entire cortex in the resting state. Users can interact with BrainX3 in real time, while the immersive mixed and virtual reality space enables users to explore and analyze dynamic activity patterns of brain networks both at rest and during tasks, or for finding signaling pathways associated with brain function and/or dysfunction or as a tool for virtual neurosurgery. The researchers also have simulated neural activity from lesioned brains and activity resulting from transcranial magnetic stimulation perturbations. The data on brain activity in these states could be used to assess levels of consciousness in patients with severe brain injury. SIM cards used by mobile phones to connect to phone networks will soon be 25 years old, and have been found to be vulnerable, writes University of Cambridge senior lecturer Markus Kuhn. British and U.S. intelligence agencies reportedly stole millions of SIM card security keys, enabling spies to track users and listen in on calls. Kuhn says SIM technology could have been replaced some time ago with a simpler alternative--typing in a user identifier and password directly into the phone, similar to how Wi-Fi is accessed. Quick Response (QR) codes also could be a convenient alternative for smartphones with cameras, where an app could read the details encoded in the QR via the camera. Modern cryptographic techniques such as password-authenticated key exchange enable passwords as simple as a five-digit PIN to create highly secure encrypted connections. Network operators would be opposed to eliminating SIM cards, which enable them to lock in customers to their network. However, Kuhn says today's Internet-based telephony has demonstrated that moving a telephone number between networks can be accomplished in seconds, and the same should be implemented in mobile phone networks. The European Commission has long tried to improve mobile phone competition, and Kuhn says abandoning the SIM would be a major step toward this goal. Researchers at the Karlsruhe Institute of Technology (KIT) and the University of Munster are studying the social benefits and risks that come with the use of big data. For example, a fitness wristband can provide users with vital health information, but a third party could take possession of the data for surveillance or commercial purposes. "This example demonstrates that technical possibilities of recording, linking, and evaluating data for various purposes increase very rapidly, and so does the uncertainty of what happens with the data," notes Armin Grunwald, head of KIT's Institute for Technology Assessment and Systems Analysis. The discussion on bringing technology in line with personal privacy rights is just beginning, and the Assessing Big Data (ABIDA) project wants to provide the basis for an informed debate in society. KIT will collaborate with the University of Munster's Institute for Information, Telecommunication, and Media Law on the project. So far, the researchers say studies have not addressed how technology can be shaped to better balance societal interests. ABIDA will hold several citizen conferences and provide strategic action plans at the end of the project. "Together, we want to gather existing knowledge about the handling of big data, deepen the findings, and disseminate them as widely as possible," says KIT's Reinhard Heil. Eben Upton, the inventor of the Raspberry Pi computer, got his start coding games in BASIC on a BBC Micro when he was 10 in 1988. Two decades later, he became director of studies in computer science at the University of Cambridge's St. John's College and noticed applications to study computer science were in decline, along with the programming skills of incoming students. Upton theorized part of the problem was children no longer had access to relatively simple computers they could experiment with; most computers, phones, and game consoles today are far more powerful and complex than the BBC Micro. This realization inspired Upton to create the Raspberry Pi, an inexpensive circuit board with enough processing power, memory, and connectors to integrate with any number of devices. Upton originally expected only modest success, viewing selling 10,000 units as a major coup. However, the Raspberry Pi and its variants have sold more than 5 million units and become a go-to tool for students, educators, and hobbyists. Along with continually improving the Pi and its sister products, Upton and his staff of about 20 people also are focusing on educational initiatives, primarily instructing teachers how to teach computer science through its Picademy initiative.